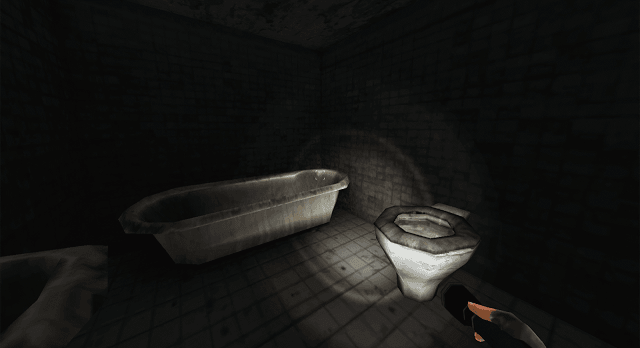 House of Terror is one hell of a frightening VR game. Cleverly titled Valerie’s Revenge (VR), the game lets you explore an abandoned house full of traps and scary ghouls. Solving puzzles and searching for clues is the only way to unearth secrets of the haunted house and escape, but you will have to do this before monsters find you. There are a few jump scare moments, so playing this game with your headphones on is the best way to experience them. Valerie’s Revenge is compatible with Google cardboard, but you will need a tiny Bluetooth controller to control movement and interact with puzzles. 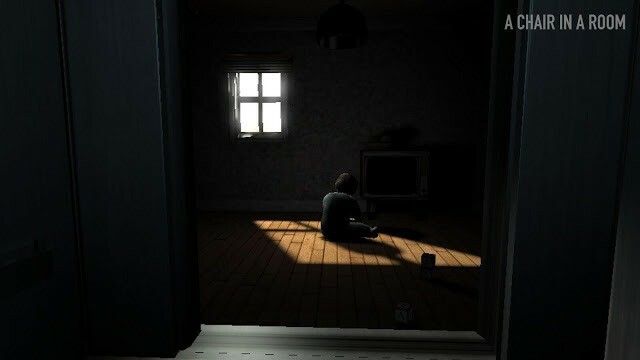 The game has stunning 3D visuals and the creepy atmosphere will surely make you think twice before entering the house. Try the demo and if you are satisfied with the scareplay, play the full version. Sinister Edge is another scary VR game one can play with or without a device. 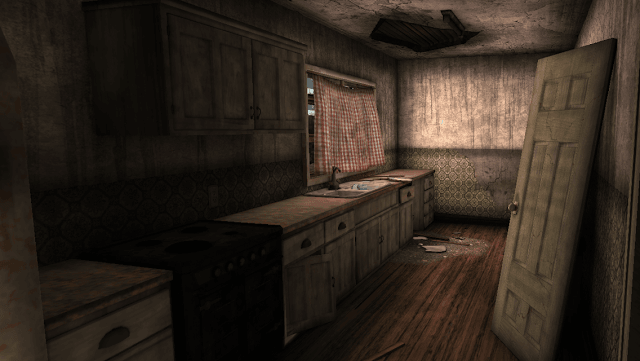 The game draws inspiration from point-and-click horror games and has superb 3D graphics. There are several challenging puzzles and quite a few frightening locations to explore. The game is surprisingly deep and isn’t one of those short VR games where you wait for monsters to find you. The simple controls will let you solve puzzles and explore locations with ease. Sinister Edge works with Google cardboard. You can play the game with or without a gamepad. I would, however, recommend playing it with a controller for solving puzzles. And if you are not into VR gaming, then you can always play this game on your smartphone. Sisters is a creepy ghost story that revolves around the fate of twins. Nobody knows what happened to them and it’s up to you to find the truth. But there’s someone or something that does not want to explore the godforsaken house. 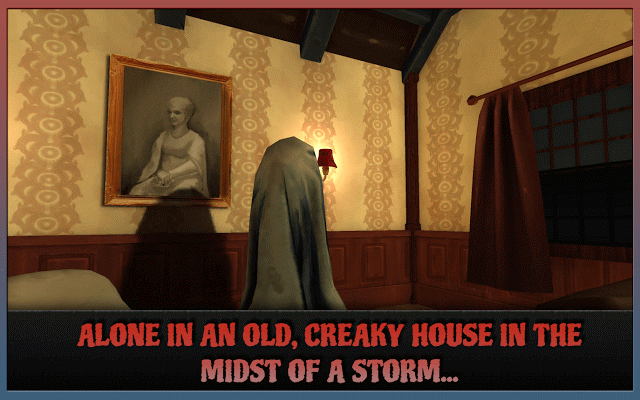 The game has simple look-based controls that will help you explore the haunted room. VR head-tracking and binaural/directional audio will make you feel you are right in that virtual house. Sisters’ binaural audio reminds me of an iOS game called Papa Sangre. Only difference is that the latter was not a virtual reality game, and purely relied on 3D sound effects to scare the bejesus out of you. 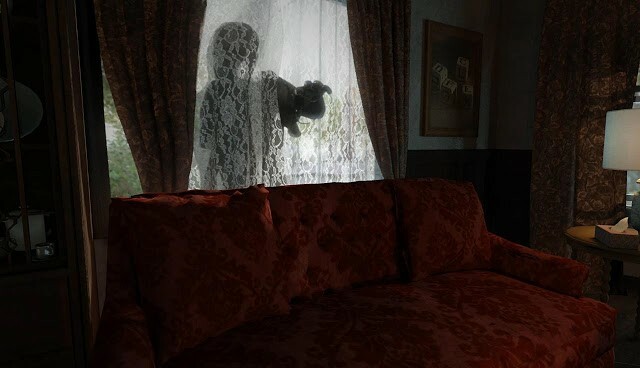 Night of Scares teleports you to the living, breathing Goosebumps world filled with your favorite ghosts and monsters from the popular TV series. With your VR device on, you can experience terror by confronting your childhood’s biggest nightmares. Werewolves, gnomes and the creepy Slappy will follow you, find you and unless you act quickly, hide somewhere and solve key puzzles, escaping them is impossible. 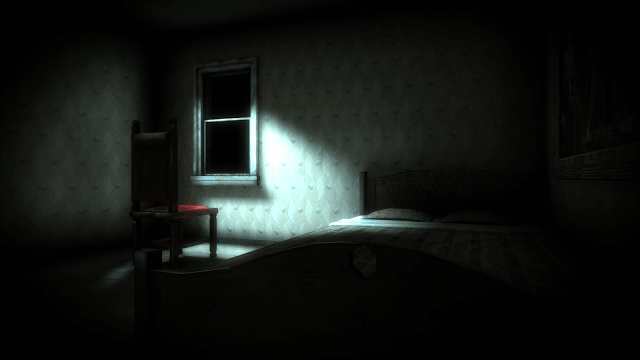 Night of Scares is the first mobile game based on the Goosebump series. It is compatible with Google cardboard. The game lets you solve puzzles, collect pages from Goosebumps books and try every trick in the book to make sure ghosts don’t spot you. 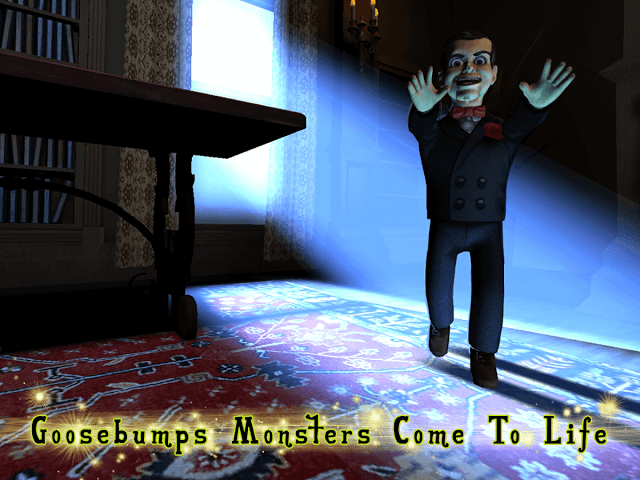 If you are a big fan of Goosebumps books and TV shows, then this scary VR game will surely make you feel nostalgic. Silent Home is another haunted house-themed VR horror game. No one knows what’s inside an abandoned house on a deserted farm, until you decide to explore it. Your friends have warned you, but you don’t heed their advice and reach the deserted farm where the house is located. Inside you find several precious objects and try to collect them, but someone does not want you in the house. The game has those jumpscare moments that most players expect from a horror game. The experimental short game is very creepy and despite some glitches, it will keep you at the edge of your seat. If you are into mystery movies and weird tales, then you should play A Chair in a Room. Made for Google Cardboard, this VR android app puts you into the shoes of a case-solver where you will have to find clues and objects, make the right decisions and unlock the story’s ending. The choose-your-own-adventure type stories in this app are pretty short but very terrifying, with some really creepy endings. A Chair in a Room boasts incredible 3D graphics, so make sure you install this app on a high-end mobile device. You can play this game using Google cardboard or a similar VR device. Chased by a few bloodthirsty cannibals is probably scarier than being stalked by a ghost. VR Horror House brings this bloodcurdling experience to your Google Cardboard device. You will have to find the exit before falling prey to man-eaters. However, the game has secret weapon, which if found can be of immense use to slaughter them. Horror House does not require a controller but your device must have a Gyroscope. You will need to use your head to control movement. The game has decent 3D graphics and the atmosphere is very chilling. 11:57 is a scary short movie app that reminds me of horror theme parks. 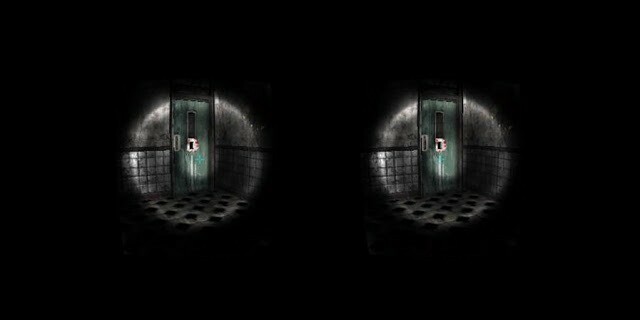 You start the app, enable VR mode and flashes of light will welcome you to a scary location. You cannot move, but can see creepy apparitions approaching you. It’s not a game, just an app to frighten horror fans. Binaural audio will up the scare level, so make sure you put your headphones and then play the app. Insidious was probably one of the scariest movies I have seen. I am sure you will agree with me. Everything that you have seen in the threequel can now be experienced in bits in full 3D. Insidious VR isn’t a game but more like a short overview of the third movie. However, that should not stop you from not trying it. Even if you have seen the movie, you will find the overall 3D experience pretty scary. Your guide Elise will take you Into the Further to give a glimpse of the afterlife. If you liked the movie, then you will find this short overview pretty scary, especially the final moments of this app. Nice list of horror games. Thank you.